OMG Posters! 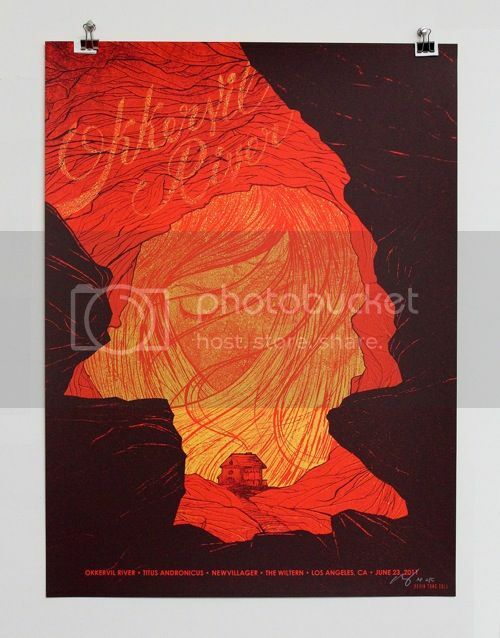 » Archive Kevin Tong's Okkervil River Poster - OMG Posters! Kevin Tong’s newest poster for Okkervil River is, as usual, beautiful. It’s an 18″ x 24″ screenprint, has an edition of 120, and costs only $20. Visit TragicSunshine.com. Would like an art print version of this. Wow that is freakin’ hot, never even heard of this band / artist, purchased in the hope that they are good. Video is incredible.